Who can forget the dominance of the Lions throughout the early 2000's. In spirit of their namesake, Brisbane made their presence felt on the field both physically and verbally - a key metric to their success that led them to three straight premierships. They had champions across every line - Voss, Lynch, Akermanis and Leppitsch to name a few - and will go down in the history books as one of the more tougher teams the game has ever seen. Wind back the clock all the way back to 1916, when Fitzroy completed arguably the most bizarre season in the games history by becoming the only team to win the wooden spoon and Premiership in the same season. 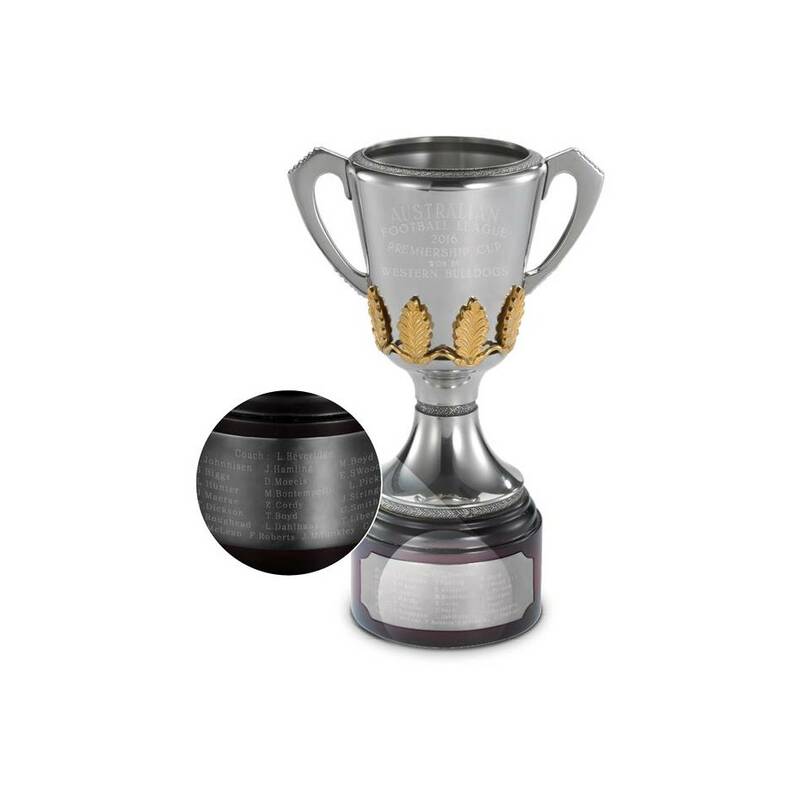 Commemorate Brisbane & Fitzroy's Premiership triumphs with a collectable pewter replica of unrivalled heritage and splendour. Each handcrafted Cup is composed predominantly of refined tin, with small proportions of antimony and copper added for strength and durability.